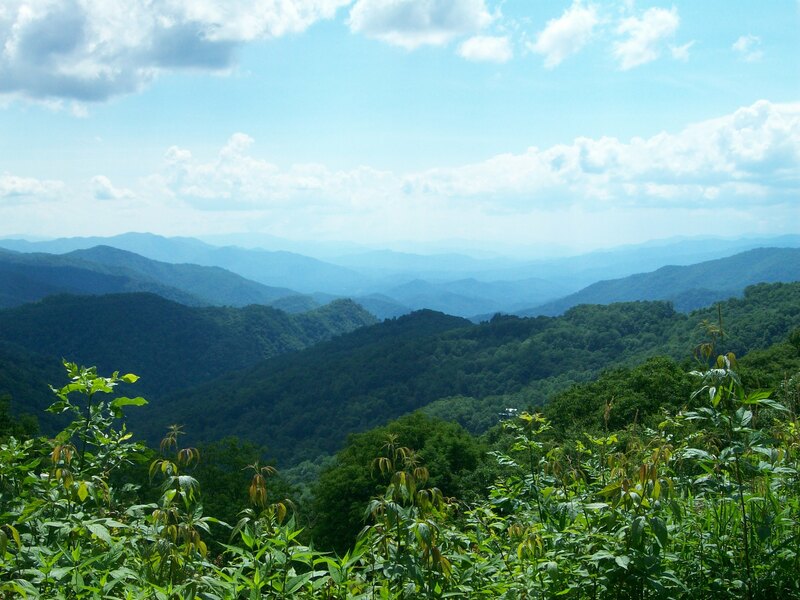 Last week – the first week of July, 2013 – my son and I spent a couple of days in the Blue Ridge Mountains in North Carolina. The full day that we spent in the mountains was perfect; we hit the weather just right! Our sunny, dry day of activities was sandwiched between two rainy, wet days – the days that we spent driving. We were blessed and lucky to have a nice vacation day that was so beautiful. There has been so much rain in the South so far this summer that I was worried that our one summer vacation day spent away from home would be a wash, but it wasn’t. Thank goodness; it was perfect for us! It is always refreshing to get away to the mountains – they are so beautiful and majestic. To be back with nature in it’s fully beauty and greenery is food for the soul. 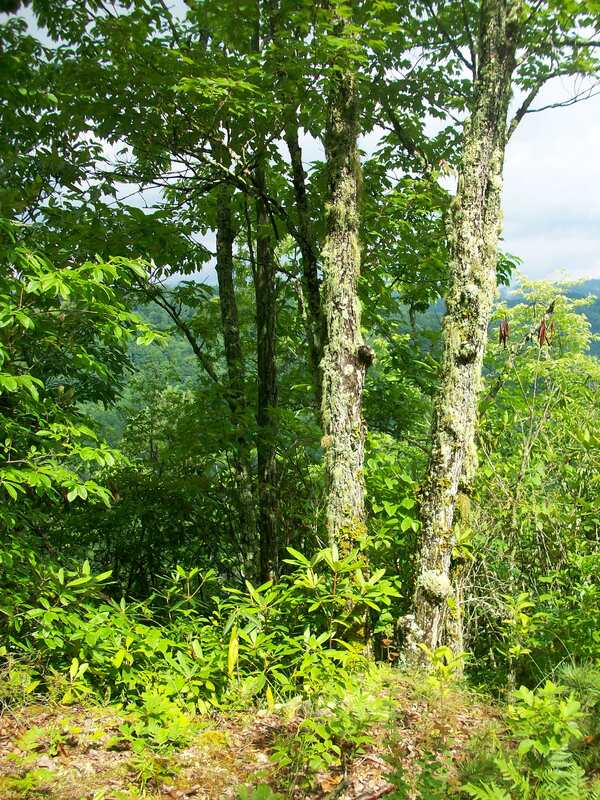 With all of the rain we have had so far this spring and summer, there is an abundance of greenery all throughout the mountains. Usually, we are concerned about the lack of rain that contributes to drought, but not this year. There has been so much rain that the mosses and lichens growing on the trees tend to look more like Spanish moss. The moss is growing to longer lengths than usual because of the highly wet conditions. 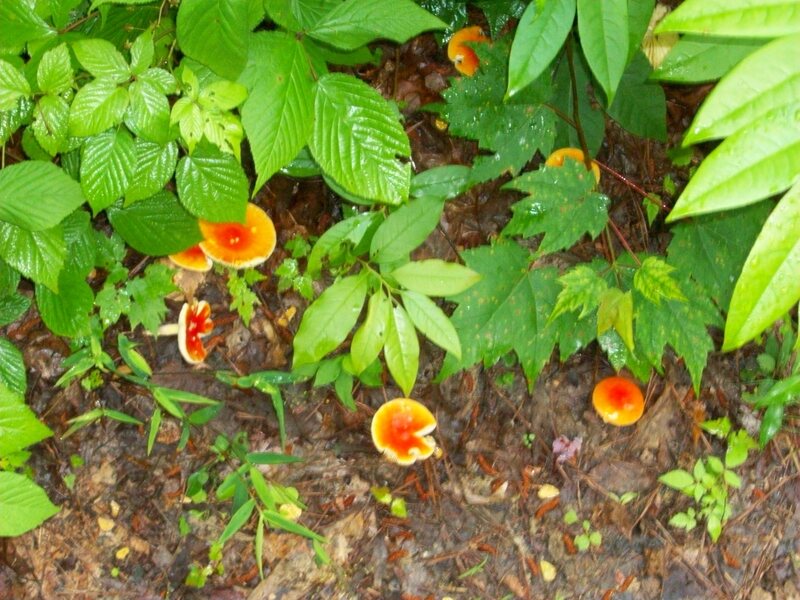 Also, there are many more mushrooms and toadstools to be found throughout the forest, as well. With all of the rain, the rivers, creeks, and streams have been swelling with water. The banks of all of the rivers and creeks that we saw were overpassed, and the water was at a much higher level than usual. This, however, led to the increased beauty of the falling water at Soco Falls, a beautiful falls near Maggie Valley and Cherokee, North Carolina in the Blue Ridge Mountains. This summer, there was a greater volume of water spewing over the falls – the most that I have seen in my past many years of visiting this lovely natural wonder. 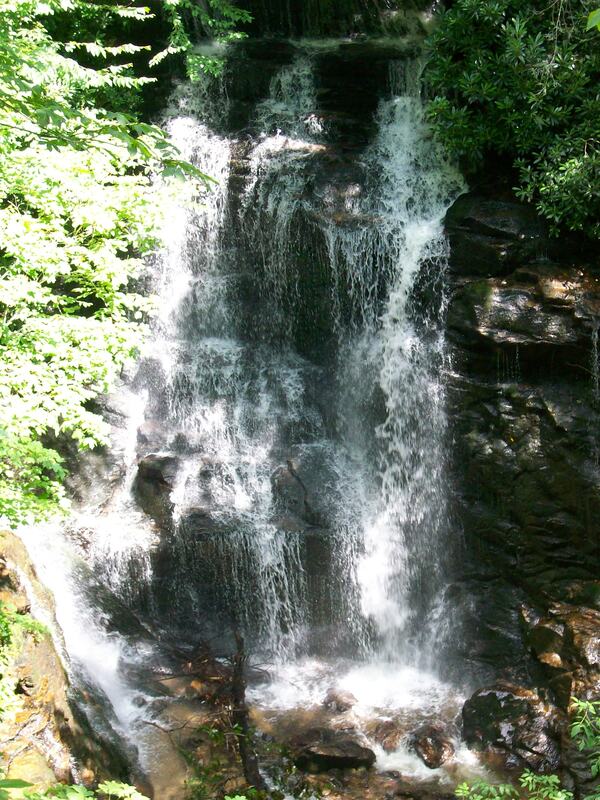 It is always refreshing to hear the sound of the waterfalls at Soco Falls. 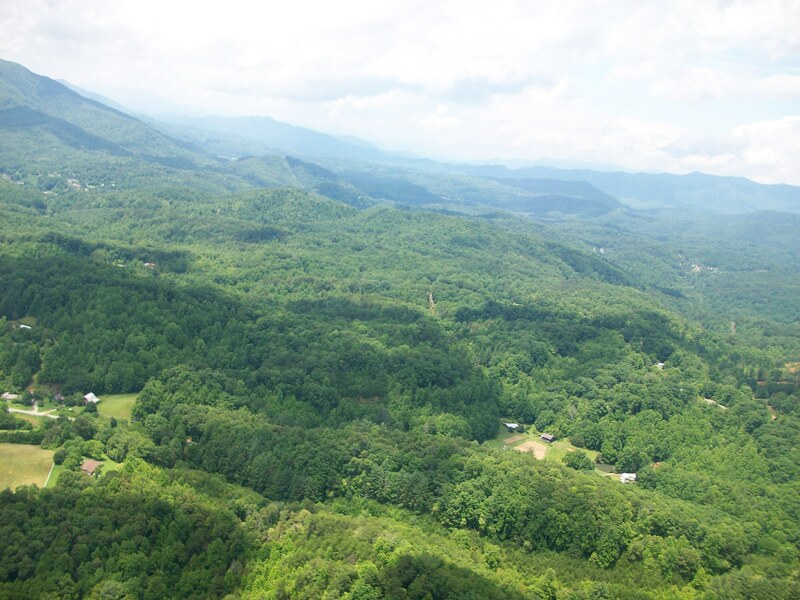 It is always a wonderful treat to visit and stay in the Blue Ridge Mountains of North Carolina. 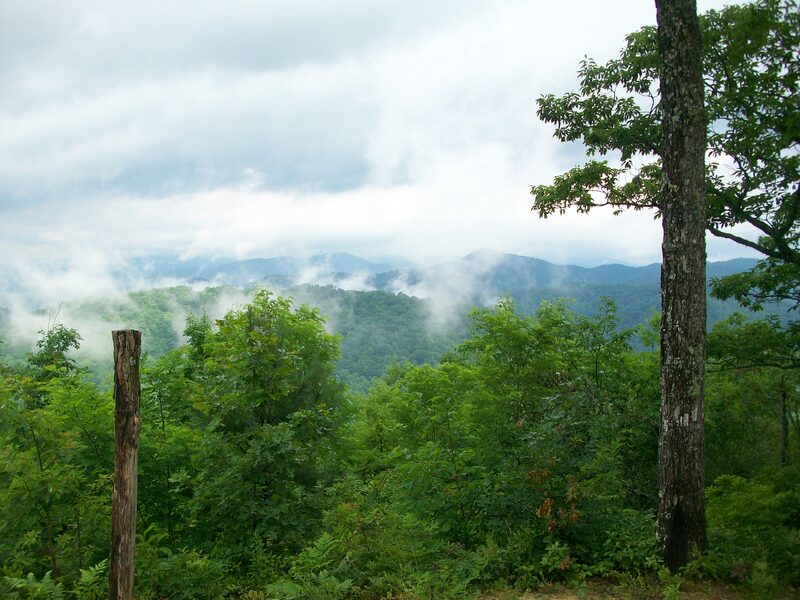 Typically, especially for Southerners, going to the mountains in summer is a cool, refreshing retreat from the usual activities of daily life and those hot, humid days. This year, visitors will be even more refreshed by the beautiful greenery; cooler temperatures; abundant water from all of the rains; great opportunities for hiking, fishing, sight-seeing, swimming, horseback riding, and other activities; as well as simply enjoying the peaceful beauty of nature.